Listening to veteran guitar player Lorne Lofsky is very much an adventure worth taking, especially when bass player Kieran Overs and drummer Barry Romberg are along for the ride. Lofsky likens it to “getting in a car and driving down a road that you haven’t been down before . . . checking out all the sights and just seeing what’s there.” Catch Lorne Lofsky with Kieran Overs on June 22nd at Mezzetta Restaurant & Tapas Bar and at Chalkers Pub on the 23rd with the Lorne Lofsky Trio, featuring Overs and Romberg. You’ll be sure to recognize some classic standards, but their open approach to exploring these compositions will keep you on the edge of your seat. As a teenager, the first exciting music for Lofsky was blues based rock music and the sound of guitarist Eric Clapton, who was his main inspiration. That changed in 1974 when he discovered the sound of Ed Bickert. Lofsky describes hearing Bickert for the first time as a life altering experience that really motivated him to dig deeper into jazz guitar. “It was the right time for me to hear that”, Lofsky explains, “something that really grabbed me, like, deep inside and made we want to really start getting much deeper into music”. 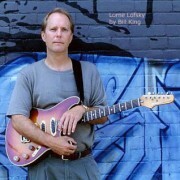 Lofsky reflected on the impact of Bickert, saying he “can’t put into words how much I learned playing with him”, describing Bickert as “very lyrical”, with an “incredible sense of harmony – a second to none, immaculate sense of harmony.” Needless to say, Ed is Lornes’s favourite jazz guitar player. Although Lofsky has never been focused solely on guitar players, he has pulled some recent inspiration from guitarists Kurt Rosenwinkel and Lionel Loueke, who he describes as very interesting current guitarists. You can catch Rosenwinkel at this year’s festival – June 22nd at Church of the Holy Trinity. As a faculty member at York University, Lofsky encourages his students to find out where their instrument came from, but most importantly to explore players on instruments other than their own. That’s an approach that he has put into practice for most of his playing career, trying to avoid things that sit nicely on the guitar, that he describes as “stock ideas.” The goal of this concept is to sound less like a guitar player and more like a musician that just happens to play the guitar. I first heard Lorne on the radio years ago; his debut trio recording produced by Oscar Peterson had been released, and everyone was talking about how incredible it was that a guitar player could even get close to sounding like the legendary Ed Bickert. Two years later he came to Montreal with Rob McConnell(of Boss Brass fame) and I found myself playing drums with this extremely talented musician. Many years have passed and whenever I get to Toronto I try to find out if Lorne is playing. Most recently I have heard him at George’s Spaghetti House with saxophonist Kirk MacDonald, and the experience was memorable. All week long the young jazz students at the University of Toronto were checking out the band; the word had gotten around that it was one of those special gigs. Lorne plays the guitar as if it is an extension of his brain; he seems to have no limitations technically on the instrument. Sometimes you’ll hear very lush, complex voicings, other times long rhythmically complex single-note lines. He plays his instrument in a very interactive way, always stimulating interplay amongst the musicians he is working with. He can be heard on a fairly recent CD, on the Jazz Inspiration label, along with bassist Kieran Overs and drummer Bob McLaren, two longtime musical associates. There are also some guitar “duets” and “trios” thanks to the miracle of multi-track technology. Entitled simply Lorne Lofsky, the first track, All of You, makes it clear to the listener just what kind of talent is involved in this production. One can hear Lorne’s influences: Bill Evans, Ed Bickert, Lennie Tristano, Lenny Breau. The way in which Lorne has combined these elements into a fresh and exciting style is obvious. Ironically, this process of maturation has gone pretty well unnoticed by the public and themedia, because Lorne performs infrequently in Toronto, and survives by teaching and occasionally substituting on electric bass. 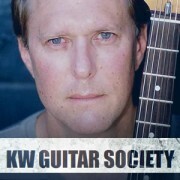 He is one incredible guitar player in a city of very good guitar players. Check him out if you have the chance. AW: How did you get interested in guitar? LL: Total fluke. I had a good friend whose parents bought him a guitar for 16 dollars at a pawn shop. This was about 29 years ago! It was just a piece of garbage, a baseball bat with strings.The strings were so high off the neck it’s a wonder my fingers didn’t bleed. I took some real legit stuff, classical lessons. Number one, I didn’t have any nails to speak of, and number two, I didn’t have a classical guitar, and my teacher was only five years older than me, but she seemed like a real pro. I was eleven, and somebody who was 16 seemed much older. So I went to these lessons, and I would really never prepare (for) them until the morning of the lesson, and I thought at the time there was a lot of pressure to play these mundane exercises, which are great exercises. I did that for about a year and a half. That was back when a guitar lesson cost $3.50 for a half hour! For my barmitzvah my parents bought me a classical guitar, and then I passed it down to my nephew. The worst thing you can do is force anybody into music. You get turned off if your parents force you, you naturally rebel against it. You get a bad taste in your mouth when you get an authority figure saying “You have to practice.” My parents, fortunately, never said that to me. AW: Were you listening to a lot of guitar music at this time? LL: You know what I was listening to? The Beatles, The Monkees, Dave Clark Five, Bobby Vinton, Del Shannon. I still love the Beatles. I don’t know if they wrote all those tunes, I think George Martin had a lot to do with that. They might have written the basic shell, and then George Martin would step in and say, ” No, no, it’s got to go to this chord. You don’t really mean A minor sixth.” We’ll never know. I used to regret being born when I was, in terms of the time period and the music happening at the time, but now I don’t because I think that anybody born in that era, if you play jazz you sort of borrow from that period. There’s a certain sensibility that comes from listening to Cream and Funk music like James Brown; you get a certain edge to your playing that you might not have if you came from the BeBop Era. When I play a blues I can take some things from B.B.King and Eric Clapton and mix it with Bird and Bud Powell. That’s why I think it’s important to check out different styles of music. I’m not saying you have to go back and listen to the Monkees and the Dave Clark Five; you take what’s happening around you and let some of that stay as part of your musical personality. I got the electric guitar and at first I wasn’t very serious about it, like any young student. I had a real tin ear; I remember it taking my friend and I about an hour and a half to work out the intro to “Mr. Tambourine Man” by the Byrds. That was a real hurdle. I felt so good after getting that! Then I heard Eric Clapton on “Sunshine of Your Love.” To me it sounded suave, so exciting, so new. Meanwhile, three quarters of his stuff he stole from all the black blues players. He turned up the amp, and got a fuzzier sound. Back then he was really playing. I can still listen to “Crossroads” and think that was some of the best guitar playing in that style of all time. I had a fairly good ear for mimicry, and I’d get together with friends to play, and I wanted to be Eric Clapton, like every other guitar player. I lifted a lot of his solos, played in basement jams, and eventually put a garage band together. We tried to get some local jobs. It was fun; one day you’d discover the fuzz pedal, you’d leave it on for ballads, for everything! Everything was fuzz-tone, then I discovered phase shifters, then playing deafeningly loud. There wasn’t much music happening, so we made up for it with volume. So we played sock hops and dances. I was in high school by now and some friends of mine, bass player Shelly Berger, and drummer Allan Roth, dropped out of school and started taking lessons and trying to play jazz. Allan went to Jim Blackley and Shelley studied with Ted Moses and Dave McMurdo, around 1973 or 74. I remember we were in Shelley’s basement playing these tunes. I had this idea that we should just jump right in and play jazz; I had the album “Light As A Feather,” so we tried to play “Spain,” and the tunes on “Kind of Blue.” I had no idea what they were doing on that record, but I knew I liked it. Then I found out about the AABA business. I couldn’t feel eight bars. I could feel twelve bars because of the blues, but eight bars was strange. We played “Milestones,” which really screwed me up because it’s AABBA, and there would be a train wreck in the middle of the tune, like two locomotives crashing in the night. We’d stop and ask each other, “Where were you?” Trial and error, we persisted. At the same time this was happening, I was taking some guitar lessons with a guy named Tony Braden, who was at the time a very well respected teacher. I asked Ed Bickert years ago, in a very shy way, because I didn’t know him at all, with my hand stuck out like it was in a cast, “Hi, my name’s Lorne. Uh, do you teach?” I didn’t know what else to say to him. He said, “No, I don’t teach, but you should call Tony Braden.” So I studied with him for about a year and a half; I still have the notes he gave me. But it wasn’t music; it was how to shift from one string to another with a C scale, when to do this and when to do that, all technical stuff, triads and inversions, nothing to do with making music. I got what I thought I needed at the time. This whole time I was playing my guitar all the time, and listening all the time. At that time I was going through this funny phase where I’d turned my back totally on my rock ‘n’ roll roots, and I became a jazz snob, because I thought that’s what you had to do. Everybody does that when they dive into something. It was the year before I went to University that I joined a rock band just to make some money and get some experience. We played in this town called Listowell in the northern part, and in Brampton which is southwest, in Atherlou which is close to Aurelia, and played in a couple of dumps in Toronto. I think the most money I ever made was a hundred dollars for the week out of which I had to eat. After doing that I thought, screw that, I gotta get into jazz, and so I went to York University. The reason I went there was because I had a friend who played guitar who was in the classical program. I heard him play some of this classical stuff at his house one day, and it just blew me away. Probably now it wouldn’t have the same effect, but at the time it sounded like John Williams sounds to me now. I went there; I lasted a year. I took four courses and at the time, it was over my head. John Giddings was teaching there and he’s a genius. When you hear him play piano, you don’t know that he can wear the other hat and talk about things the way he does. He also teaches Social Sciences and is a warm, loving man. I can’t say enough good things about him. I played in a couple of ensembles and took a theory course, which at the time was way over my head. It was there that I first got the idea of how important it was to play with a strong time feel. I went out and bought a metronome, and I’d sit there in the house I lived in with Shelley and Allan, and put the metronome on 40 and play the high-hat on two and four for an hour. That’s what I got from York. Eventually I realized that it was better to make it feel good than to be metronomic, and I started to see the difference between it feeling good and being perfect. It takes awhile to find the difference, to let time breathe. The metronome should be used as a reference point, a guide or pivot. You can back-phrase or play ahead, depending on what else is happening in the group. I went back to York the second year and I just took a workshop; I was auditing. In 1974 I was up at Shelley Berger’s parent’s cottage near Aurelia, and Phil MacKellar’s show was on. He played lots of big band stuff, and then he played Paul Desmond’s record “Pure Desmond,” with Ed Bickert. It was another time in my life when I was completely blown away, the same way I was affected by hearing Eric Clapton. A completely different thing, melodically, harmonically, rhythmically. Everything was different; a beautiful warm sound, just impeccable voicings, beautiful touch, economy of line, perfect! 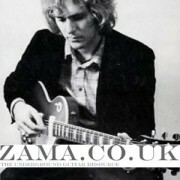 For what he does, I think Ed Bickert is the best guitarist in the world. I think he’s the greatest; I think he’s so great that I can’t listen to him play anymore because he was such a great influence on my playing. To me, just like Paul said in the liner notes, this was Ed’s album. It was almost like Paul couldn’t wait to finish what he played so he could listen to what Ed was going to do. AW: So you hadn’t really had much chance to hear him live? It was in situations where he wasn’t necessarily presented at his best. Ed got a chance to be featured on this record. I heard this and said to myself, “I don’t know what the hell he’s doing, but I’m going to figure it out,” and I did. I just about busted an old Sony reel to reel from all the playing and rewinding. I taped the whole album. The first tune, “Squeeze Me,” I figured out every single note and voicing, and a way of rationalizing it for myself, with passing chords, etc. There are things he’s doing where he’s got it voiced like a saxophone section…. I can’t say enough about Ed. He was my new Eric Clapton. All of a sudden a new universe opened up. It was so inspiring, and sometimes depressing. I’d hear something and think, “how do you do that?” I didn’t realize he’d been doing it for twenty years already.All of a sudden I wanted to be Ed Bickert and then I heard some Jim Hall and wanted to be Jim Hall. I got ahold of some bootleg tapes and started playing along with those, and for awhile I wanted to be Jim Hall. Then I heard Lenny(Breau); there was a local show with Terry David Mulligan that played alternative rock music. One night I heard out of the blue just as I was getting ready to go to sleep this guitar player singing quietly with harmonics, and different voicings, and I felt this electric bolt go through me. I sat up and I couldn’t believe what I was hearing. I didn’t hear the name of who it was. A couple of years went by and somebody mentioned Lenny Breau’s name. I said “who’s that?” and they described how he sang sometimes, played a cross between country and jazz, used harmonics, etc. They played a tune for me and I made the connection. Then I went out and bought “Live at Shelly’s Manne-Hole.”Somewhere along the way I also heard Sonny Greenwich play, and those are the four guitar players who really got to me. I wound up listening so much to Ed that his musical essence sort of took over my personality. It was now about the late 70’s and I was starting to work a lot at George’s. I was getting a lot of attention; Mark Miller became my champion. For whatever reason, I was the ace. It was my turn; who’s young, who’s new? They had the new faces series, once in a while they’d throw a bone to some young guy trying to make it. I was working with Jerry Toth, Don Thompson, Butch Watanabe, when there was a whole other group of people working there. I started working at Bourbon Street; I was making a good living playing jazz. Now I play much better and there’s no work! They give you a break when you can hardly play, and then when you can play they don’t want to know about you. LL: Just one, actually. I was working with Chet, and we were doing this tune, “This Is Always.” I didn’t know it, and I was reading a chart. There was a full house. It didn’t seem like he wanted it to stop, so we kept going. He turns around and he says, “Man, the tune was supposed to end two bars ago!” and he slams his horn down and walks off. I’m there with David Piltch, and we didn’t know what to do, so we laughed. I went up to him after and I said, “Sorry, we didn’t know you wanted to stop there,” and he said, “It’s OK, I’m a little tired.” He wasn’t in great health at that point. AW: And from that time, any positive experiences? LL: Oh yeah, I didn’t have any other problem with him. He said he really dug my playing. We went and played in Sam Noto’s Renaissance Club. They put out a CD which was a transfer of the radio show; the quality is just horrible. They did it because Art Franks was the drummer; he knew Chet pretty well and Chet’s wife Carol. And Chet never gave a dime to Carol and the kids, and this was one way to supply her with the proceeds. At this point I was like six feet off the ground. He says, “Hi Lorne, it’s Norman Granz. Oscar says he really enjoyed your playing and he’d like to produce an album. We go into Manta downtown and in about six hours we did the album. I was just so nervous and excited I thought we had some good material. Every once in a while somebody will come up to me and say, “I just got a copy of your first album. Boy, you really sounded good back then.” I don’t want to disagree so I just say thanks. You hear something from fourteen years earlier and you’re not going to like it because you’ve matured. It was Joe Benza and Kieran Overs. We played at this place for the better part of a year every Sunday, couple years before the record. So we took a bunch of chances and it was loose. The engineer, I don’t know how experienced he was recording jazz, the drum set had a rock sound and the guitar was too up in the mix. It got some reviews, and people started to say I was the new Ed Bickert. It was really complimentary; I had so much press back then it was embarrassing. I didn’t think it was deserved. I never let it get to my head or anything. AW: Up until this point, had you played with Ed? Had he heard you? LL: Oh, yeah. He heard me. Jane Bunnett and Larry Kramer had a jazz series on Sunday nights with people from out of town. Larry asked me if I would be into playing with Ed. I thought, “Oh man, I’m going to play with God!” So I went in with Kieran Overs and Jerry Fuller, I probably had about five shots of scotch before I played. My family came down, it was a big deal. AW: So you guys didn’t really have a chance to get together and you didn’t really know him that well? LL: Not really. Now it’s fine, let’s play. Back then I was scared. I’d ask him, “What do you want to play?” and he’d say, “Let’s play stuff we’re comfortable with.” I’d say, How about this, how about that, and he’d say, “Oh yeah, sure.” He knows (just about) every tune ever written and if he didn’t he’d pick it up real fast. He’s got the deadliest hearing. In one way I’d like to have those kind of ears, in another not. We live in a very out-of-tune world. So we played; there was Ed, the original, and there’s me doing my imitation. I guess it sounded OK, but I felt like a fish out of water. Eventually we decided for fun to put together a quartet and try to do a week at George’s. I was getting all this press, and he was already a legend. I did a record with Johnny Hartman, a sweetheart a true gentleman. Ed and I did a record for Unisson, and Ted O’Reilly approached me about starting this label. One afternoon, Neil’s amp screwed up during the session, so Ed and I did a take of I Remember You and Ill Wind. I was teaching and working a lot. Around this time I was teaching at York at a workshop instructor part time and delivering tires during the summer. I was playing constantly with Mark Eisenmann. Play, play, play. I recorded with Brass Connection. I started teaching at Mohawk. For awhile I was going through a real bad time; I found it really hard to cope with the fact that here I was, I’d arrived, and this big world had opened up for me. But I didn’t realize that the work was going to stop. All of a sudden I wasn’t everyone’s favorite anymore, and I got real bummed out about it, and I started to not practice. I got really demoralized; I didn’t know how to handle it. I’m not talking about being a pop superstar, just about someone who was quite busy and well liked in the music field. Now I know why, because the music business is cyclical, people get different favorites and there are different circumstances. There are different cliques that take over for awhile, not even intentionally, it just happens. After awhile I got a little busier, and I started listening to other people. I put Ed on hold, and I discovered Bill Evans. Another great sea opened up. I went out to hear him, borrowed every recording I could, I wanted to be Bill Evans. But I wanted to be Bill Evans on the guitar. I’d go out and hear Lenny(Breau) and I’d hear a lot of Bill in his playing, but I never found Lenny to be a really strong jazz player, a great improviser. He had all the harmonics happening, musical devices, an ability to play two things at once. But when he played lines it was pretty stock stuff. I think there were certain things that he lacked in his playing. As innovative as he was, he wasn’t purely a jazz player. AW: It’s almost as if he didn’t want to play jazz, he wanted to play guitar. LL: Right, he played guitar music. He played guitaristically. And then I realized, ah, I get it. It’s kind of an interesting idea if you listen to people who play other instruments, because you can borrow things and adapt them to your instrument. Let it filter through. I play a little bit of drums and that influences my rhythmic thing. I never really got into Lenny’s sound; it was too bright for me. My sound is much brighter than it used to be. Bob McLaren and I used to get into arguments about how dark my sound was. I listened to Ed, and he had a dark sound back then too. And Jim Hall; he would play clusters with a super dark sound. I lifted a couple of Bill Evans’ solos, that one called The Opener, and others. I heard that, and I thought, that’s some of the most ingenious playing I’ve heard. I’d been thinking about some of this, playing the passing tones on the beat instead of off, different rhythmic things. I had all these things I was thinking about, I thought, here’s what you need to be a decent improviser, but I couldn’t figure out how to put it all together. Then I learned that solo. Bill was a master of motivic development; everything he played made perfect sense. I met up with this guy Terry King; he played me some Lennie Tristano. Unbelievable! I listened to that like breathing, and I started to play with Kirk MacDonald. Kirk is totally into Lennie and Lee Konitz; I tried to play with him as much as I could to let some of that stuff rub off on me. I didn’t have a formulaic way where I could rationalize things, sort of get a working knowledge of how to use that stuff on other tunes. 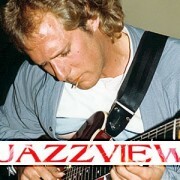 This was mid-80’s and I got a Canada Council grant to study in New York with Lee Konitz. We worked on trying to play more melodically, how to try and make what you play sing. To really try to play what you hear, which is hard to do, because a lot of the time, you are going for broke, you’re seeing shapes on whatever instrument you are playing. I was starting to get more gigs, trying to play like Bill would on the guitar, taking from Lenny Breau, from Tristano. Shelly Berger and I would play Giant Steps right through the keys, and it got to the point where it was like weightlifting; we’d play it at warp nine. AW: Did you work mostly with or without piano players at this time? LL: I tried to mostly work without pianists, because I wanted to force myself to fill it in. Then I got to the point in ’87 where I was asked to play solo guitar.I said, oh I’ll do it, but it was intimidating. Instead of doing it like Joe Pass, I wanted to try to play like Bill would. I felt so compelled to play wall-to-wall notes. I thought it would fall apart otherwise. I didn’t realize that time and space go hand in hand. One way I learned that was to listen to a lot of Bill’s solo work. I’ve listened so much to that kind of playing that I’ve absorbed it. To play that way on the guitar with moving lines the way Bill plays is very difficult. I can now pretty much improvise that way but on the guitar if you are holding a note, you’ve got three fingers left. You have to be fairly adept, and that’s why around the late 80’s, I decided to go right back to square one because I never did it when I was eleven, and went back to the Conservatory to study with this fantastic teacher Robert ‘Bob’ Hamilton. I use the same book I used when I was eleven, working on the musculature, working on mundane stuff, sitting out in the back yard catching some rays. Roddy Elias told me about this book which is Bach Lute music transcribed for the guitar. I thought, there’s no way I could ever play this, but my friend had a record of John Williams playing three quarters of this stuff. I taped it and I listened to it, and I did the same thing I did with Clapton and Ed and Bill Evans. AW: Do you find it’s changed the way you view playing? LL: It helps a lot with two moving voices. I started realizing that I have to have a combination of pad and nail, and my sound on the electric has changed. AW: Have you always played the solid body? LL: Yeah; I’m not comfortable playing the standard jazz guitars. I appreciate it when other people play them, but I’d just as soon play a solid body. People get really surprised when they hear my sound. AW: What about the other guitar players? LL: I’ve listened to them all and I have to say that I’m not into listening to guitar. I used to hear those guys all the time. Barney and Herb and Joe Pass, they were all great, but after I’d heard them four or five times, it began to sound more and more similar. After awhile, it just didn’t move me. AW: What about what’s happening now? LL: I like Scofield, both rhythmically and harmonically, but I don’t like his sound very much, and I must confess, I don’t go out and buy those records either. I heard Metheny; he can really play, but it didn’t move me. LL: I’ve checked out Wes; I’ve got one record. But those guys are always playing guitar music, that’s why I don’t listen to it. AW: So your focus is on playing better jazz? LL: I don’t think anyone should be involved in playing music that is associated with their instrument. They should play music, grabbing from here and there. The only reason I learned about bass was because there was no one to play with and I learned how bass fits into the musical picture. I’m at the point now where I look at the guitar as if it is just another instrument. I love the challenge of taking piano things and transferring to the guitar. This is something that Ed is an absolute master at. The trick is to find the essential quality of the chord. On the piano you need more notes to have the same aural impact as on the guitar. If I play a triad on the piano, it sounds dumb. On the guitar it’s full. Piano is a doubling instrument. The other thing is in terms of range. The guitar is much more limited that way. Open string voicings sound much larger than they are because of this. AW: You just want to keep playing and doing what you are doing? LL: Yeah; I’m into having fun. You don’t want it to be so serious that you can’t push for something. If we’re so serious that we are doing up our collars, we might as well still be working on those Louis Armstrong records. I don’t understand why people at this stage of the game aren’t bringing more of their own musical personality into the music. I feel sorry for those guys who are always mimicking. It’s like going around having the same replies to the same questions. It’s the musical equivalent of small talk. I think it’s very important for anyone having some kind of artistic endeavour, whether it’s dance, pottery, photography, painting, music, to always move forward. I don’t mean necessarily to be different all the time, because there are some people into free music who buy an instrument and think they are doing something different; granted, it’s different but it doesn’t sound that good. You are at point A and then you strive to get to point B based on the foundation that you already have for point A. It’s sort of like being in this underground parking lot that goes down about fifteen floors; you’re in the basement, and you want to make it to the main floor. Finally you realize that the top floor you get to is sitting on this foundation of stuff that is already there. In music there are scales, II V’s, neighbor notes, diatonic triads; all these things are just tools. LL: Right. Sometimes I ask my students to look at something, say a doghouse, and they see a rectangle with a circle where the dogs go in. If I give them a hammer, a saw, some nails, and some wood, and I point to the doghouse, and I say, “build that,” okay. But what if I show them the hammer, saw, nails, and wood, and tell them, “here is what each tool does. Here’s a nail; you take the hammer and you put the nail into wood…” If I say, “okay, build me something.” Two different mindsets. One person might build something completely different. Music has to be thought-provoking. It’s not enough for music to swing and have a nice feel. For me that’s not enough. There has to be something else there, not just intellectually, not just, “well, that was really nice when he took that Dorian voicing with the third on top..” I’m talking about an overall thought-provoking experience. I can’t remember the last time I went out and heard a band and couldn’t wait to get home, so I could practice. I remember that feeling; it used to happen all the time. As I got more knowledgeable, my ears got better, and my tastes changed. Now I think I’d like to hear more of this, more of that. That is such a special feeling when it happens. That’s one of the reasons why I don’t get out as much as I used to, cause I don’t get that feeling very much. I don’t listen to a whole lot of music at home either. Now I’m trying to further what I do, not trying to keep going over the same thing. AW: How about the Toronto scene? There is from what I hear a sense of some of the best musicians being down on each other. It’s a little different than in Montreal, maybe because of the competition? LL: I think it is more competitive. In any walk of life there are always different schools of thought, different camps. There are people here into bebop, into out music etc, and they are into those things exclusively. I don’t think that’s a good approach. Maybe it’s because there are so many good players and so little work, and that makes those players whether they care to admit it or not jealous and bitter. I’d be lying if I said I never did that. I get tired of seeing the same guys playing at the Senator and George’s. I play as good as some of those guys and better than some of the younger ones, and I can’t get arrested in my home town! And yet Oscar wants to take me to Europe. I want to be able to have a chance to play every once in a while, that’s all. 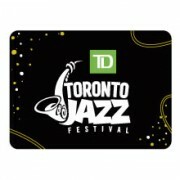 AW: What about the idea of Canadian Jazz? The Toronto sound has been associated with Don Thompson, Terry Clarke, Ed Bickert, Jerry Fuller, Neil Swainson, and Rob McConnell. LL: I think three of the most influential guitarists are from Canada; Ed Bickert, Lenny Breau, and Sonny Greenwich. They are all radically different players. You take Barney Kessel, Herb Ellis, and Joe Pass; not much difference. The only reason that Lenny and Sonny aren’t as well known is simply because of the media and because they were underrecorded. AW: Did Ed Bickert ever “take you under his wing, ” or did he let you do your own thing? LL: A strange thing happened on a gig we did together about four years ago in Washington, D.C. With Ed, less is more, in conversation and playing. Ed and I played a duo at the Canadian Embassy, and then a couple of nights with a local rhythm section. At that point it was sort of when I realized that I was becoming more of me and less of Ed. The first record we did together, I couldn’t tell where he finished and I began, and it bugged me. It was a necessary stage, but I started to feel myself moving away away from that style. That’s not unique to me; every musician goes through that. On the second record I sounded different, and I was glad. Not better, just different. I finally started to feel like I was developing my own voice. Ed and I talked in Washington; I asked him one time, “Does it bother you when I sort of go off in a different direction, stretch out a little bit?” Not to quote verbatim, but he said he wasn’t sure what to do, where it was going. Everybody has their own way of doing things. We went to Spain last year; I had a great time. I thought, Ed’s going to play like Ed, Lorne’s going to play like Lorne. He complimented me, he said, “Gee you’re really sounding good.” For Ed to say something like that, it really means something. But since then, we haven’t worked together. AW: And now you’re going to work with Oscar Peterson. How did that happen? A couple of days ago I got the Cleo Laine book for a festival gig here, so between learning the Oscar tunes, and working on the Cleo Laine book, plus wanting to practice, it’s been hard to stay relaxed. The Oscar thing is easier, because I get to close my eyes and use my ears and play, instead of looking at these massive arrangements, with piano voicings written out and arrows going everywhere. Hieroglyphics! It doesn’t get any better; a European tour, I’m going to be heard by lots of people. I figure maybe, if I happen to meet some promoters, maybe something will come of it. I was 20, and I started getting into jazz. Now I’m 40, and I’m going on tour.